Weekly Photo Challenge: Symbol | Oh, the Places We See . . .
One sign posted on a highway in Hood River, Oregon, let us know we weren’t in Tennessee anymore. Representing a place for windsurfing, the sign symbolizes fun for many who love wind-and-water sports of all kinds, especially a sport new to us — “kiting.” We stood for two hours on the banks of a park in the Columbia River Gorge dedicated to just this sort of thing, marveling at how anyone can catch the wind, sail across choppy waters, and then perform feats we’d only seen on TV. 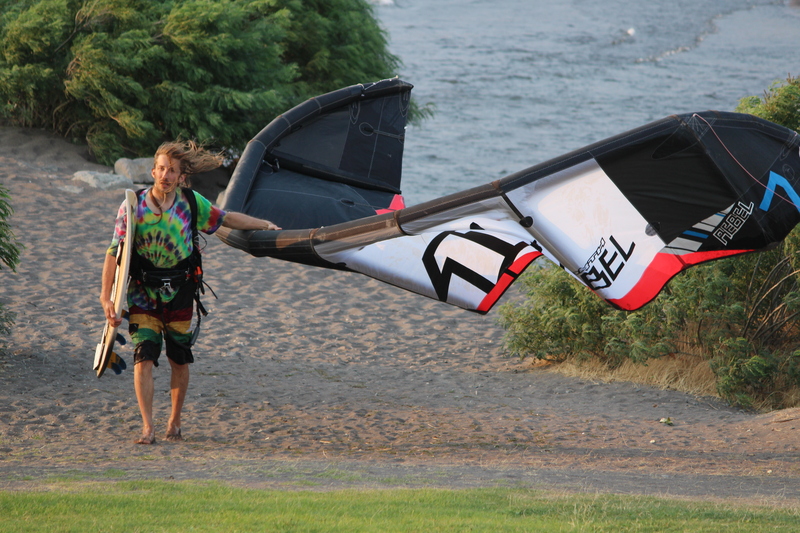 One “kiter” (about 60ish) told us, It’s an old man’s sport. But we still don’t believe him. Although there were a few seniors in the crowd, it was mostly young, able-bodied souls we saw gathered after work on a hot, hot day. And it seems to be a true bonding experience for those who surf and share pointers and, at the end, help each other roll up their gear at sundown. 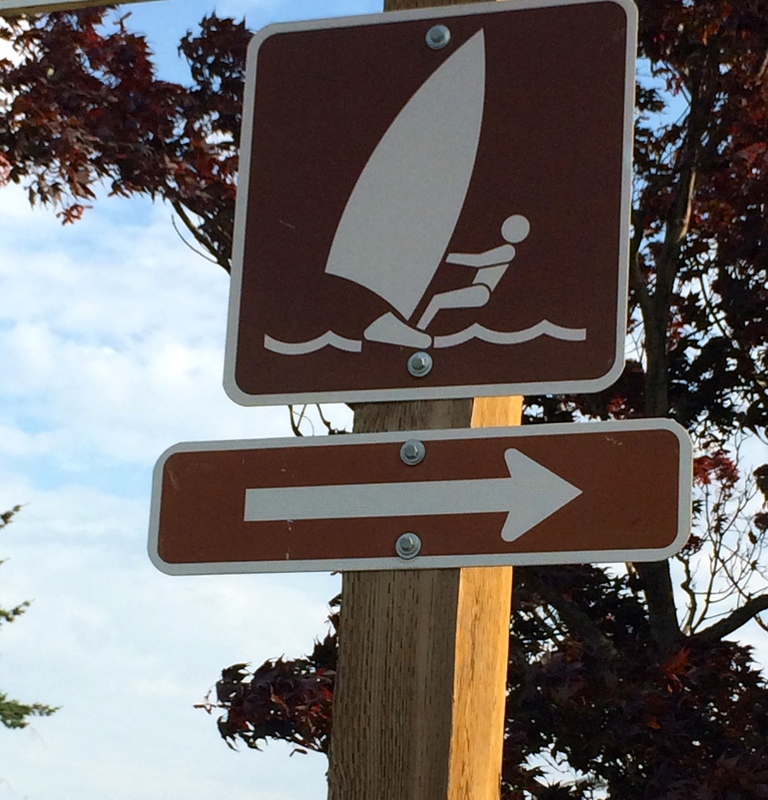 A symbol for Oregon fun in the great outdoors. For more symbols, check out the Weekly Photo Challenge: Symbol right here. 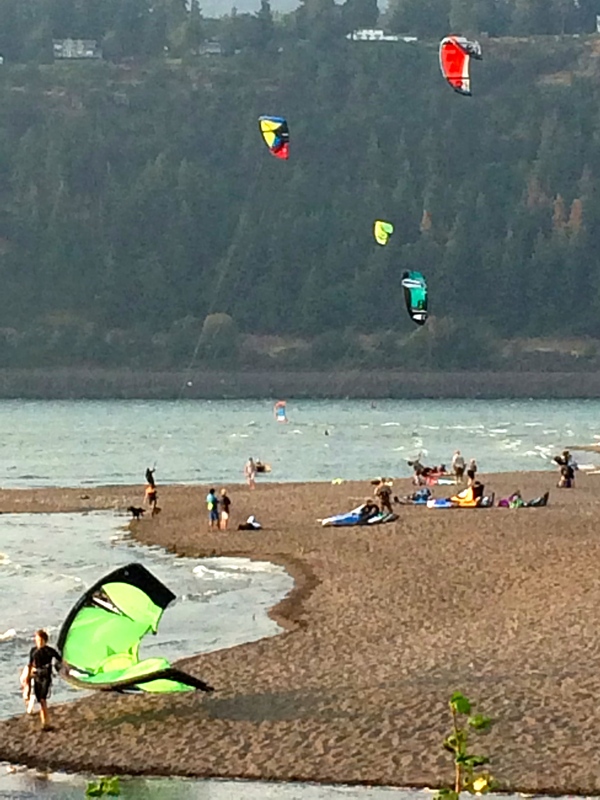 This entry was posted in Oregon, Travel, Weekly Photo Challenge and tagged Hood River, kite surfing, kiting, Oregon, wind surfing. Bookmark the permalink. Wow! Perfect fun Summer symbols! Thanks so much! Hope your summer is a good one! Thanks so much, Cindy! I can see symbols in just about anything, so this was a great topic for me. Hope your summer is going well. 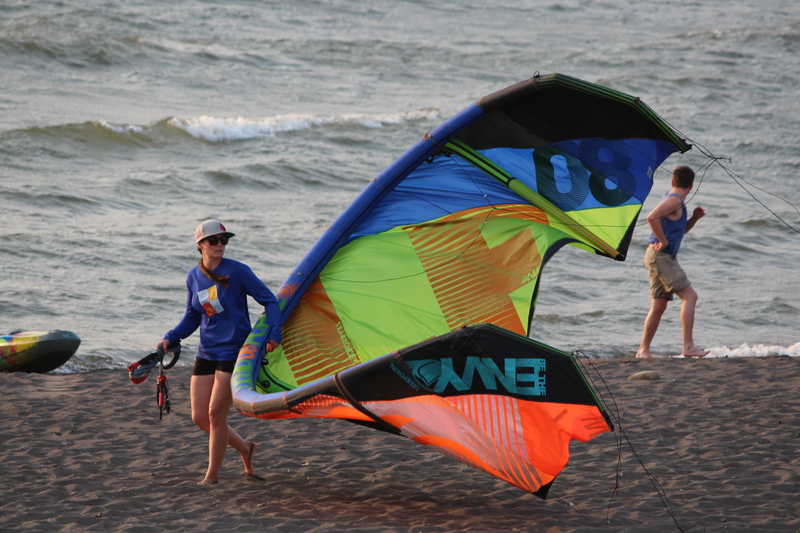 My sister, brother and I watched kiters in NJ a few years ago, and my husband and I have watched them on Lake Michigan’s waves. Seems like you’d need a lot of upper body strength to control that kite, but man it must be fun to fly like that. I really wanted to try this, although I’m not a strong swimmer. Probably wouldn’t last three seconds!! !